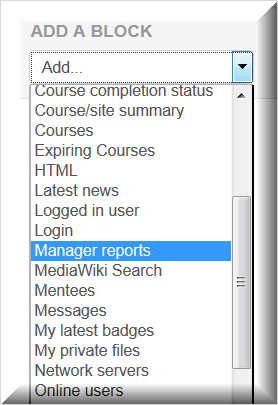 Reporting for Managers and Locations is accessed via the Manager Reports block on the front page of the LMS. 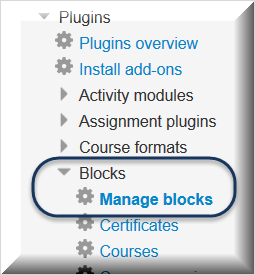 Any users who are assigned as Managers (see main article on Managers and Locations) have access to the Manager Reports block on the front page. Non-managers will not see the block. You can drag and drop the block to where you wish it to display among other Front Page blocks. The basic reports are Team Certificates, My Team and Flexible Team. Other custom reports can be customized as needed. This report can be downloaded as an Excel file. Administrators on the site who are also designated Managers can see a site-wide report, with all the Managers and the team members and all certificates. The My Team report displays the team members who have earned certificates, their email address and a link to their certificate. The report can also be downloaded as an excel file. If the Manager clicks on the certificates link, he or she can open the team member's certificates for review, download the list of certificates or can click on the icon to send a copy of the certificate to the team member. The Manager cannot expire any team member's certificates. An administrator who is also a Manager sees a site-wide version of the report. The Flexible Team report allows the Manager to create very specific reports about their employees. Date Range - limits information shown to a set time, which is useful when the team members have been learning on the site for years. 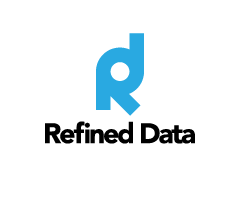 Display Fields - determine what information is shown, from names only to names and emails and more. Locations - when the Manager has teams or employees in more than one location, for example, at five different stores, they can show all or just one. The default is all. On the displayed page, the Manager has the option to download the report as an Excel file. Unlike the previous two reports, an administration who accesses this report sees only their own team members, if any. For clients who have historical transcripts imported to the platform links to these transcripts can be enable on the My Team and Flexible Team reports by going to Site Administration >>> Plugins >>> Local Plugins >>> Manager Reports.